Mon., Aug. 27, 2018, 4:48 p.m.
Where: 1620 E. Houston Ave. When: Thursday-Friday, 5-9 p.m.; Saturday, noon-9 p.m.; Sunday, 1-5 p.m. starting Sept. 9 for football. Humble Abode is a fitting name for Spokane’s newest nanobrewery. The one-barrel (30-gallon) brewing system is tucked in the back of an unassuming business strip space at the corner Pittsburg Street and Houston Avenue, a half-mile northeast of Nevada Street and Francis Avenue. But the moniker is really about an attitude, according to owners Matt and Courtney Gilbreath. Most of the seating in the wood-accented, industrial-style taproom is at four large picnic tables, to encourage customer interaction. There’s a foosball table and board games for entertainment, along with three TVs. A garage door opens in warmer weather. Kids are welcome, as are well-behaved dogs under the scrutiny of house puggle Sadie. You can bring your own food or order in, with food trucks planned later. There’s homemade root beer and a guest cider (One Tree’s huckleberry for starters). The rest of the 10 taps are devoted to an ever-changing array of beers, tending to the hoppy side. “Your favorite one week isn’t going to be your favorite the next week,” Courtney Gilbreath said. Her husband started homebrewing two Januarys ago. Humbleness aside, he could be forgiven for boasting about his beers, which are solid for a startup brewery. The rye pale ale (5.5 percent alcohol by volume) features a pronounced spiciness from both flaked and malted rye plus piney Chinook hops. A single-malt, single-hop Citra IPA (6.5) shows off the varietal’s fruity and grassy sides, while the all-Amarillo Dangerously Red IPA (7) balances its citrusy notes with rich caramel malts and a touch of roasted barley. The first in a series of soft, hazy New England-style IPAs (7.3) gets its tropical character from El Dorado and Galaxy. Next up is a Dirty Sunshine hopped with Simcoe, Citra and El Dorado and brewed in collaboration with Pints Alehouse. “I love a nice West Coast style IPA that smacks you in the face, but I also like the juice bombs,” Matt Gilbreath said. Falling squarely in the former camp is an assertively bitter double IPA that drinks easier than its 9 percent ABV. Dark beer fans should find a coffee/vanilla stout this weekend as well. While the Gilbreaths are eager to upgrade to a bigger brewing system, they have no designs on wider distribution. “We just want to support our family and do what we love to do,” Matt said. Masters Brewhouse is aiming for a mid-October opening in Deer Park. Owners Jeffrey and Tiffanie Masters plan to produce a wide range of styles from a three-barrel system along with a full lunch and dinner menu. English Setter has added Monday hours from 3 to 9 p.m., and gone family-friendly until 7 p.m. each day. River City is selling beer in crowler cans weekdays from 9 to 3 p.m. and at its monthly First Friday parties. Post Falls Brewing’s Stallion imperial IPA was the people’s choice winner at the recent Ales for the Trail in Coeur d’Alene, followed by Kootenai River’s Huckleberry Wheat and the Moonstone ESB from Radio Brewing in Kellogg. Back for a second year is Perryzafa (4.8, 4.5), a mashup of Perry Street’s session India pale lager and the popular Bodhizafa IPA from Seattle’s Georgetown. Both beers won gold medals at the Great American Beer Festival in 2016, and Perryzafa will be entered in the festival’s new collaboration competition. The Trip-A triticale red IPA at Mountain Lakes (6.5, 48) gets a subtle spiciness from the wheat/rye hybrid. Post Falls Brewing tapped two more treats for fans of both beer and the band Ween: the latest in its imperial IPA series, The Stallion Pt. 3 (9.6, 84), and an Ocean Man pineapple wheat (4.7, 8). The newest offerings at English Setter are Boat Diver huckleberry blonde (5.6, 6) and a hazy Foxhound IPA (6.2, 52). Whistle Punk is pouring an intensely fruity Galaxy IPA (7) and a Grapefruit Saison (5.7). Bellwether on Friday releases a Foreskelt braggot brewed with whiskey barrel-aged blueberry blossom honey, blueberries, juniper and local Scots Bere barley. Bellwether again is seeking homegrown herbs and spices for a communal Gru-it Ourselves brew; bring them in Sunday between 1 and 3 p.m.
River City’s First Friday party Sept. 7 from 4 to 10 p.m. will feature $4 beers, art, live music and pizza by the planned Bardic Brewing. Steady Flow Growler House has a grand opening for its new downtown location in the former River City taproom at 111 S. Cedar St. on Sept. 8 from 4 to 8. The annual Sour Fest returns to the Lantern Tap House Sept. 12-15. Look for more details in the next On Tap. 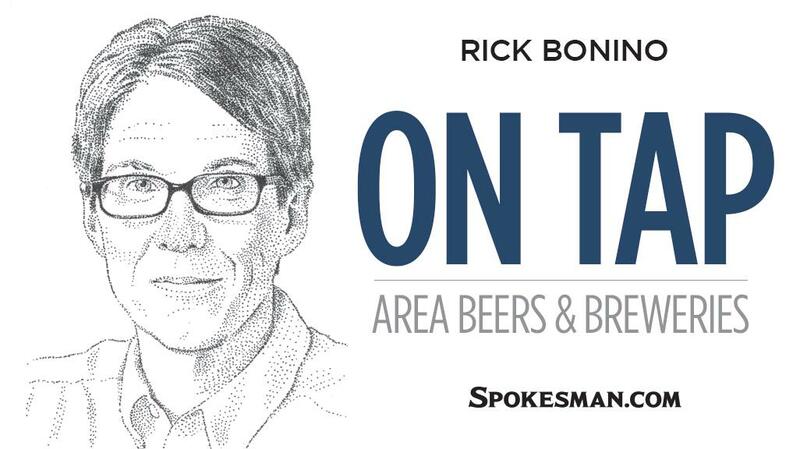 For more local craft beer event listings, see www.spokane7.com/ontap. Published: Aug. 27, 2018, 4:48 p.m.